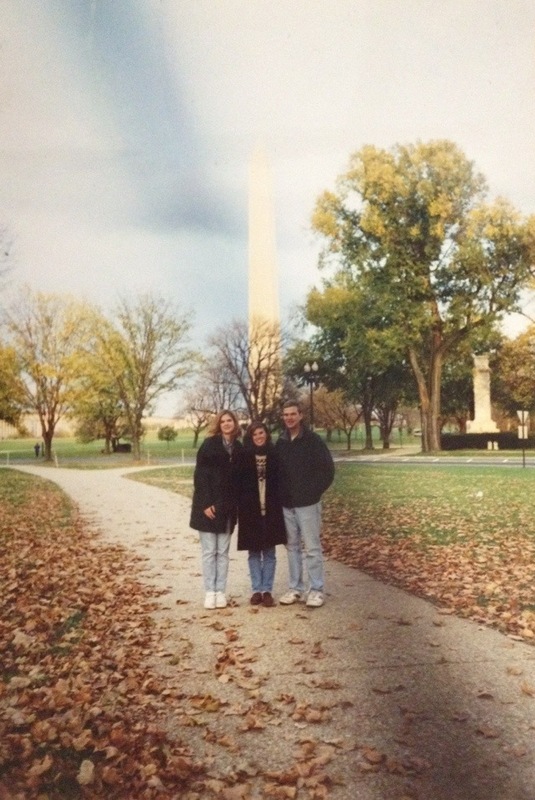 Anyway, I am not 100% sure when this picture was taken – it’s either 1996 or 1997, in November, because my then-roommate Shannon and I came down for Veteran’s Day weekend for a couple of years before I moved here, which I did in February 1998. I’d rather be at the game with all of you than touring middle school tonight :0 Have some beer for me. 2 hockey games for the price of 1, and 2 playoff games at that! Guess your brother never found some baseball to watch? Did I take that picture?? I don’t remember being there with all of your siblings in one place in DC , but I suppose it’s possible. I *think* that’s your wax jacket from Ireland that you’re wearing, if that’s any help for year….